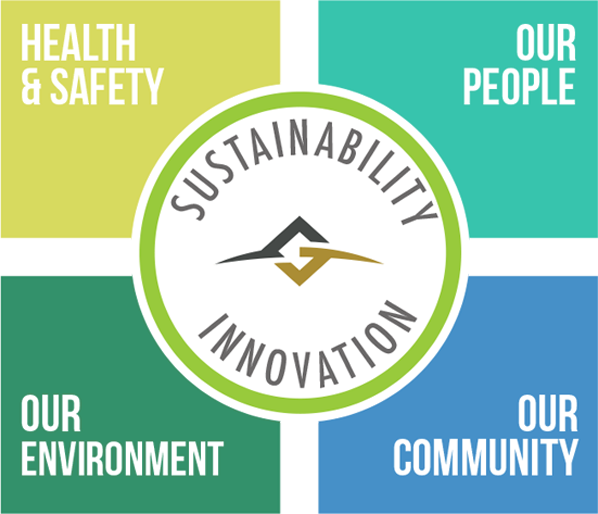 Sustainability - Overview, Argonaut Gold Inc.
At Argonaut Gold, we not only think about operating safe and environmentally sound mines that respect and partner with surrounding communities, but also about our commitment to creating value for all stakeholders. This starts with our employees and extends to the communities where we operate, conduct exploration and develop new mines. We understand that each project, each region and each culture is unique; therefore, so are the challenges and opportunities that each individual operation presents. We strive to develop understanding within the societies and environments in which we operate, while consulting with government, academic and industry researchers and non-governmental organizations, to create additional social and environmental value for each mine we explore, build, operate, reclaim and close. We know a mine's operations will kickstart a local economy, but at Argonaut we are working on ways of finding shared value opportunities more strategically. To achieve this, we know it is crucial to start with an understanding of our surrounding communities and environment so we can create solutions that are feasible and bring long-term success. We also know that in order to increase the impact of those solutions, we have to work in partnerships with government, academia and NGOs. At our La Colorada (Sonora, Mexico) and El Castillo Complex (Durango, Mexico) operations, we are working with cultural foundations and world-class musicians to bring culture to the children of our surrounding communities. At our San Antonio project in Baja California Sur, where there are great concerns about water, we have identified clear, tangible ways to improve water recharge in the local basin through building and operating the San Antonio project. At our La Colorada mine in Sonora, Mexico, we have been working on ways to bring attention to La Colorada as a rural tourism destination. As a prototype, we launched our annual 10k race which goes runs through our operating La Colorada mine. This resulted in a challenging course for runners, and motivated the community to look forward to other ways in which we can work together to bring opportunities to their town. Signed the Collaborative Agreement with Batchewana First Nation, the fourth Indigenous Agreement executed for our Magino Project. Celebrated 2019 International Women's Day with the Governor of Sonora, Mexico at our La Colorada mine. We started an entrepreneurial program in conjunction with Universidad Autónoma de Baja California Sur in support of the local eco, hiking and aviary tourism surrounding our San Antonio project in Baja California Sur, Mexico.